Two fans of Southampton imitated the gesture of an airplane before the fans of Cardiff. The club condemned the events and will ban them from entering the stadium. 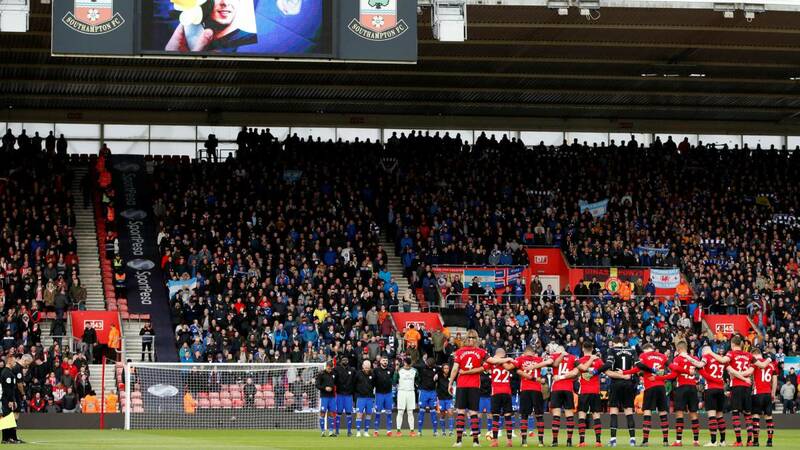 The Cardiff won an important victory in the direct duel for home relief against Southampton, but everything was muddied by the behavior of two local fans who made fun of the plane crash that cost Emiliano Sala his life a few weeks ago. They were the only people who made the tribute of the entire stadium to the former Argentine forward. The police intervened and detained the two followers who made gestures imitating a plane in front of the fans of Cardiff. Southampton club was blunt and condemned the facts and also prohibits them from entering the stadium. "Southampton confirms the arrest of two fans during our match against Cardiff. The club will continue to work with Hampshire Police to identify any individual who has had indecent gestures with Cardiff supporters. This behavior does not take place in our games and will not be tolerated at St. Mary's. The club will carry out a firm adhesion against those involved and will try to prohibit the entry of these fans. "